ESCAPE FROM THE URBAN JUNGLE INTO THIS TROPICAL PARADISE! 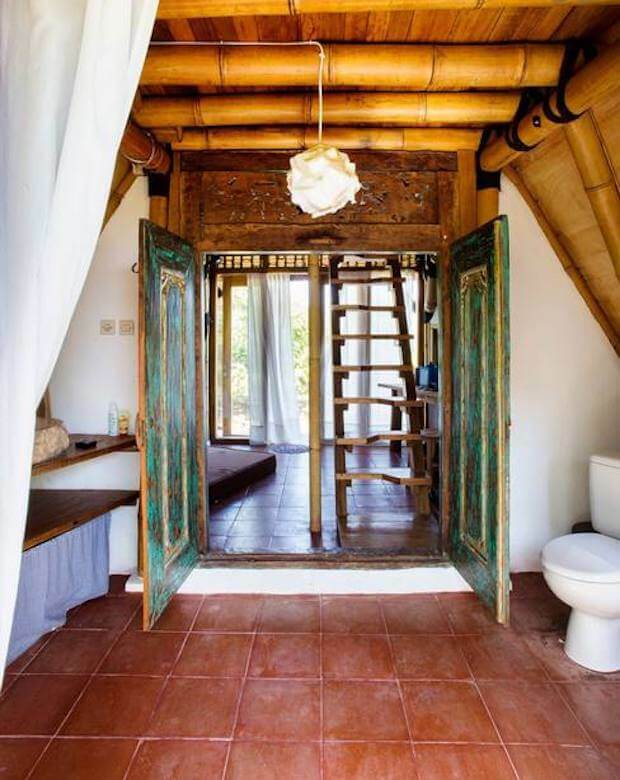 This Bamboo Bungalow will welcome you with its warm embrace! 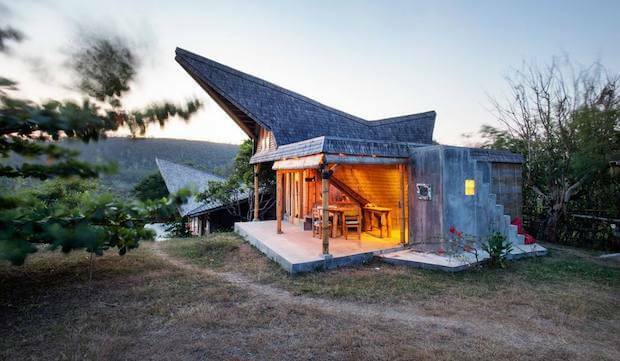 Enjoy the coziness of this beautiful bungalow located in Gerupuk, Indonesia. 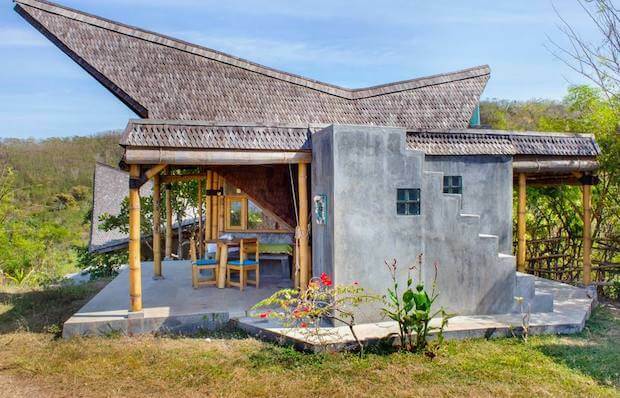 It’s situated up on the Siwak Hills with stunning views of the nearby beaches. 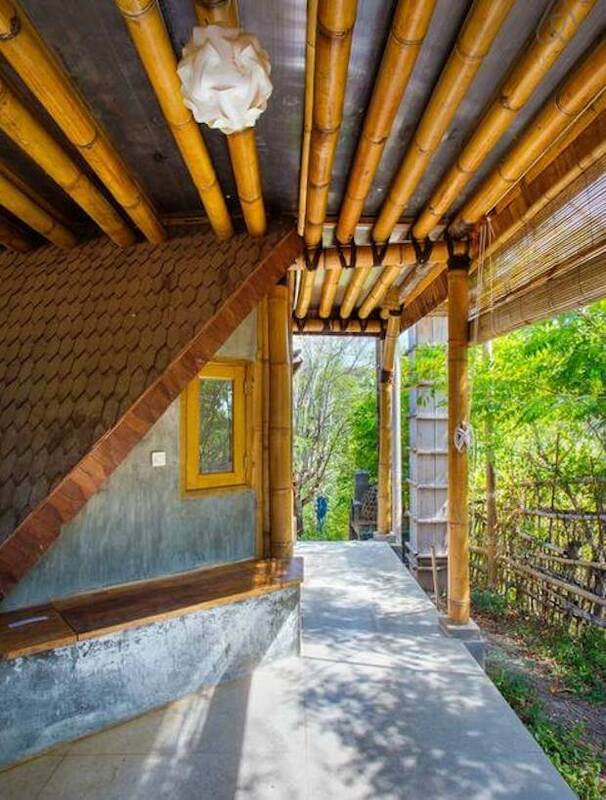 The house is built entirely of natural materials. Its design complements the tropical beauty of the tropical location. 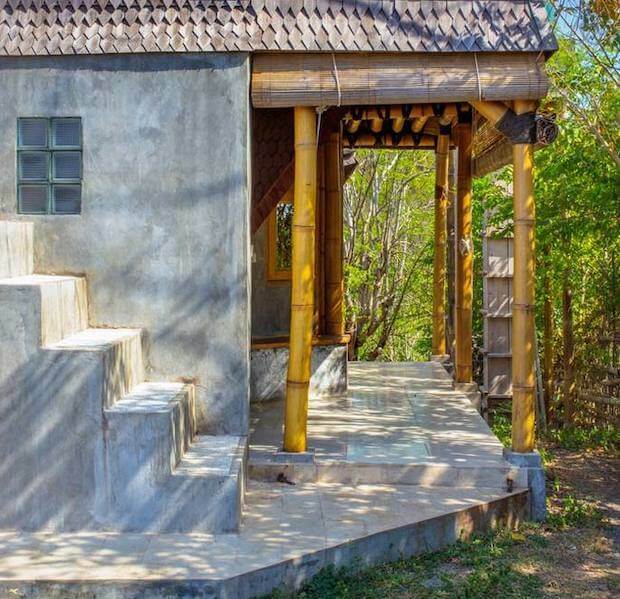 There’s an outdoor shower where you can rinse off the sand after a day at the beach. The outdoor kitchen area is a great place to enjoy delicious meals along with the tropical breeze. 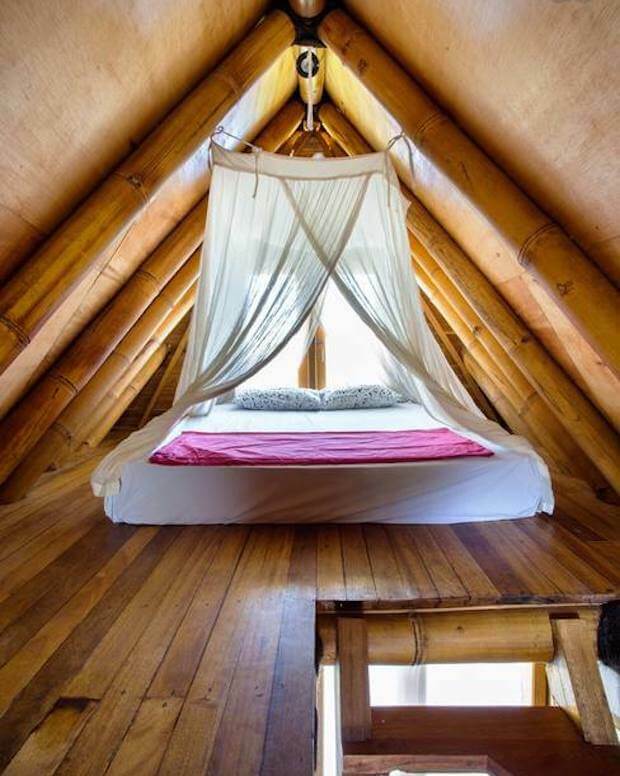 The Bamboo Bungalow can accommodate up to three guests for around $52 per night. 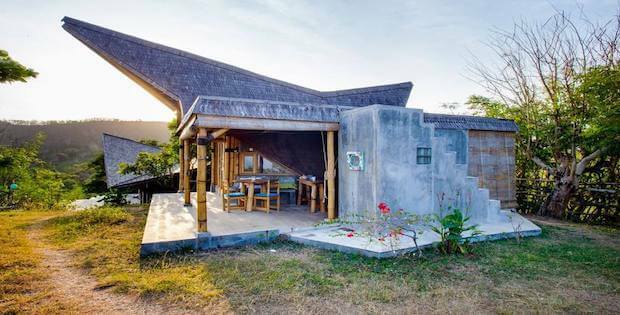 It’s conveniently situated 30-minute drive from Lombok’s International Airport and only a 5-minute walk from the closest beach, this location offers the rare opportunity to accommodate the needs of sports lovers as well as of relaxation addicts. In fact, Lombok has a reputation for being an amazing surfing destination, diving and fishing spot and is renowned for its empty white-sanded beaches and green, hilly and breezy surroundings.